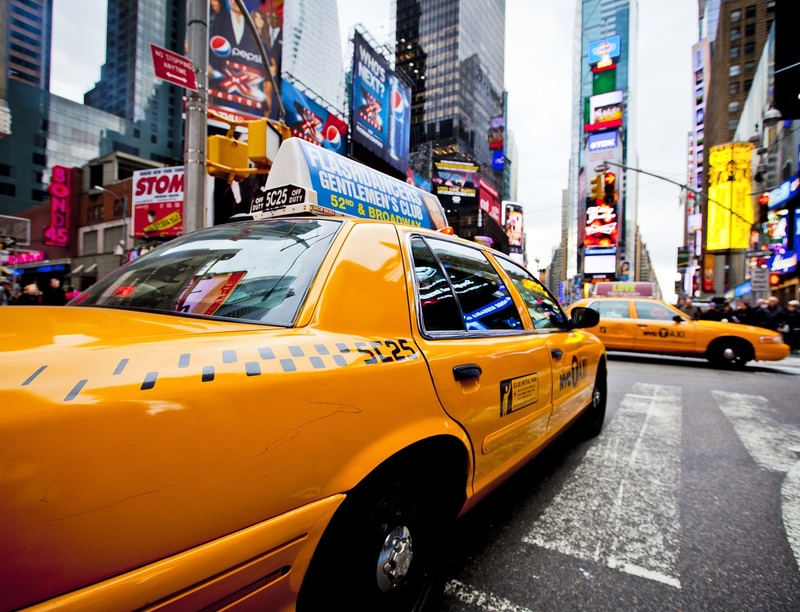 Only 24 hours in the most exciting city on Earth? Here’s how to spend it. At ground level, Manhattan has a tendency to play tricks. The Chrysler Building might be only a couple of blocks away, for example, but you don’t see it until you reach the right intersection. So why not head up to one of the highest places in the city to get your bearings? The observation deck of the Empire State Building is the best known but summer queues can be lengthy, so consider instead the Top of the Rock (entrance on W 50th St), the 70th-ﬂoor viewing platform at Rockefeller Center. Tickets can be pre-booked, the deck opens at 8am, and panoramic views encompass the Empire State Building as well as breathtaking Central Park. New York’s Metropolitan Museum of Art (1000 5th Ave) is one of the world’s great repositories of art and antiquities. Covering 5,000 years of creative endeavour in tens of thousands of exhibits across 250 rooms, it can be a little overwhelming, so study the guide beforehand and design your own personal highlights tour. But take a tip from me: don’t miss the Ancient Egyptian Fragment of a Queen’s Face, a stunning bronze Etruscan chariot, Vermeer’s ethereal Young Woman with a Water Pitcher and Van Gogh’s stormy Wheat Field with Cypresses. Join the joggers, strollers, lovers and loafers in New York’s urban oasis – Central Park. At 843 acres, it dwarfs the parks of central London: you’ll ﬁnd lawns and gardens, pavilions and ponds, even a zoo, linked by 36 postcard-perfect wrought-iron bridges. Whatever the season, Central Park is glorious: skaters circle the ice rink in winter as walkers gingerly negotiate the snowy paths; the cherry blossom blazes pink in spring; boaters take to the lake in the heat of summer; and in autumn its 25,000 trees comprise a great canvas for America’s famous fall colours. Despite the current dismal exchange rate, New York is still the best shopping destination on earth. The great department stores – Saks, Bloomingdale’s, Macy’s, Barneys – have clothes and accessories for all occasions, but there are shops to satisfy every conceivable interest and budget, from Tiffany & Co for the most extravagant gifts and jewellery to the Strand Book Store with its 18 miles (!) of shelves. Ferries depart every 30 to 45 minutes from Battery Park on Manhattan’s southern tip for Liberty Island and Ellis Island. 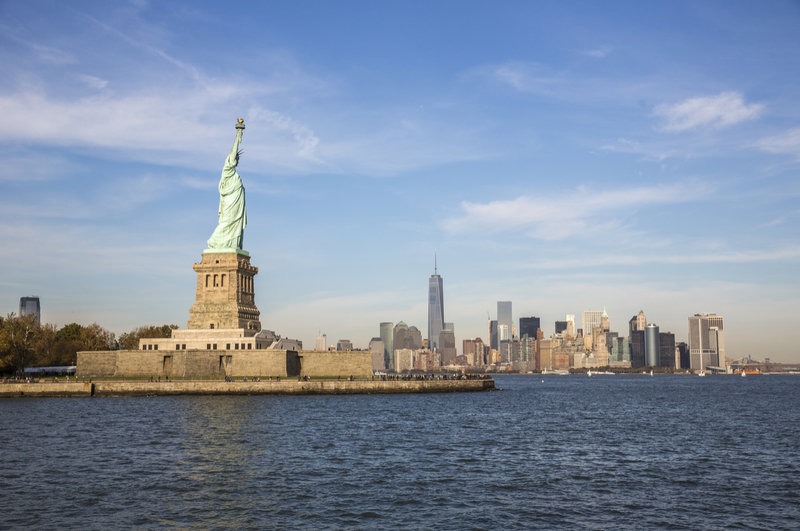 The former has just one permanent resident – Lady Liberty, the majestic statue that has come to symbolise freedom. A range of tickets enable access to the grounds, the pedestal, the museum and the crown viewing platform (visitors planning an ascent should reserve places in advance and be prepared to climb 377 steps). Nearby Ellis Island was the gateway to America for 12 million immigrants from 1892 to 1924. The excellent Immigration Museum gives a voice to those seekers of a better life, “your tired, your poor, your huddled masses yearning to breathe free”, in the words written by poet Emma Lazarus and now immortalised on a Statue of Liberty plaque. 2. BEEN THERE? GO HERE! Documenting the terrible events of 11 September 2001 with extraordinary skill and sensitivity through interactive technology, artworks, archives and artefacts, the 9/11 Museum (180 Greenwich St) is both unmissable and in parts almost unbearably poignant. Outside, the “footprints” of the Twin Towers are now memorial pools with the name of every victim inscribed in bronze around the perimeter. Most affectingly, dotted here and there are white roses, placed beside names on the occasion of their birthday. While the vast majority of its 700,000 daily visitors simply pass through en route to somewhere else, giving it scarcely a thought, this grand Beaux Arts edifice is well worth seeking out in its own right. 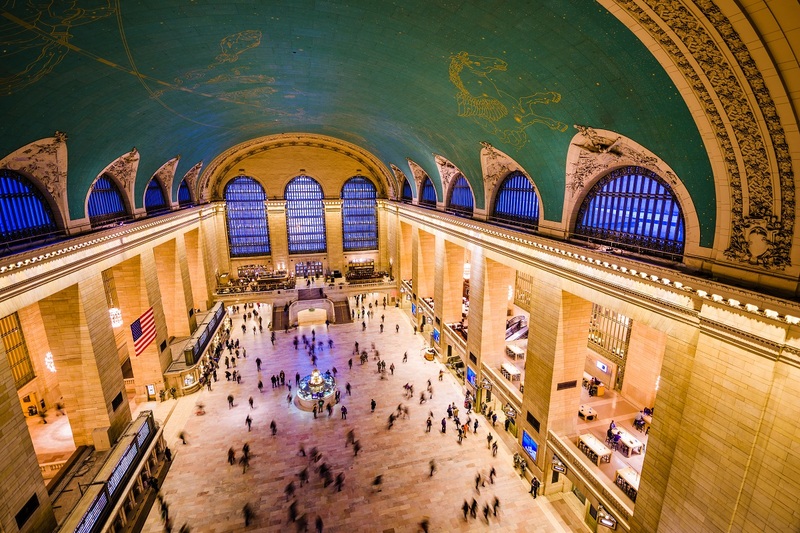 The Grand Concourse, with its vaulted ceiling and opal clock, inspires daydreams of a more elegant age of travel – and no visit would be complete without sampling the seafood at the 102-year-old Grand Central Oyster Bar. Another majestic example of Beaux Arts architecture, the city’s main library (5th Ave and 42nd St) has a Main Reading Room as big as a football pitch, with stunning ceiling murals and seating for 624 readers at oak benches illuminated by ornate chandeliers and brass table lamps. Free tours are offered at 11am and 2pm daily. A breathtaking vision of the future, 1950s-style, the Guggenheim (1071 5th Ave) is as celebrated for its nautilus-shell design as for its collection of artworks. Picassos, Cezannes and Kandinskys take their place among thousands of other paintings and sculptures lining the museum’s flowing, winding, spiral gallery – take an elevator to the top and work your way down. Alongside the Empire State Building and Chrysler Building, Radio City Music Hall (1260 6th Ave) is one of New York’s great Art Deco masterpieces. The 6,000 seat auditorium dazzles, the grand foyer, lounges and even restrooms impress with their detailing, and there is also the chance to meet one of the high-kicking Rockettes, who perform in the venue’s acclaimed Christmas Spectacular shows. Once upon a time this was the world’s greatest playground, a section of Brooklyn’s south shore filled with giant amusement parks that drew tens of millions of visitors every summer. These days Coney Island is a place of faded grandeur and bittersweet nostalgia, particularly midweek when the visitors are few. Ride the Cyclone, the 78-year-old wooden rollercoaster, and enjoy a hotdog from Nathan’s, a Coney Island institution since 1916. 3. NEW YORK FOR FREE! A 1½ mile walk along a freight railway may not sound the most engaging way to spend an hour or so, but this long-disused, elevated track running from the Meatpacking District to Hell’s Kitchen on Manhattan’s West Side has undergone the most wonderful transformation into a volunteer-run public park dotted with lookouts, artworks and gardens. And, like all the attractions on this page, you can enjoy it for absolutely nothing. The 25-minute passenger ferry from Manhattan’s Whitehall Terminal (4 South St) to Staten Island is the most famous of the Big Apple’s free attractions for good reason, affording splendid views of the city’s iconic skyline and the Statue of Liberty. The ferry runs 24/7, 365 days of the year, every 15 minutes at peak times and every 30 minutes during the night. Waits are minimal, but rush hours are best avoided. Every Friday at 12.30pm, urban historians Peter Laskowich and Madeleine Levi lead an award-winning 90-minute walking tour through the heart of Midtown Manhattan, taking in the Chrysler Building, Grand Central Terminal and Pershing Square. The tour is free and reservations are not required. Meet in the atrium at 120 Park Avenue, directly across from Grand Central. 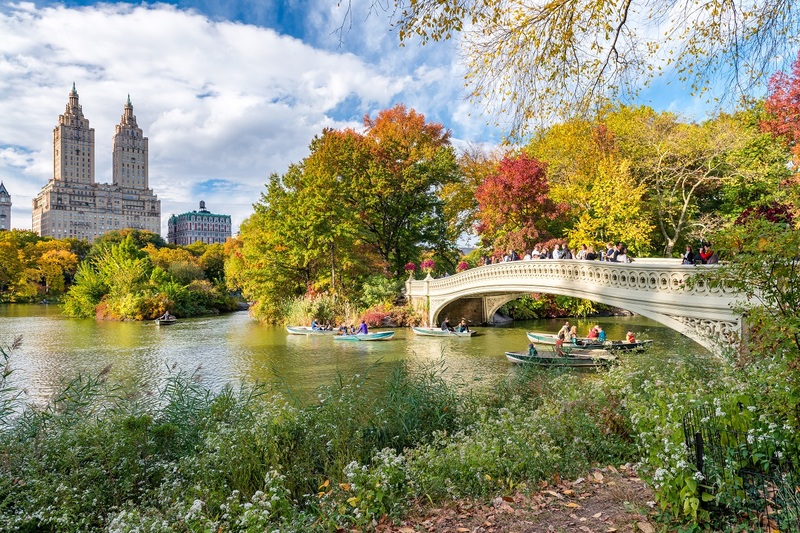 So good it features in this list too, Central Park is the heart and lungs of Manhattan. Spend enough time here and you’ll uncover its myriad secrets, from the Imagine mosaic close to the place where John Lennon was shot to the 4-acre Shakespeare’s Garden, whose blooms are all mentioned in the Bard’s works. Confirming Friday as the best day for budget-conscious travellers to visit New York, MOMA (11 W 53rd St) offers free tickets from 4pm to 8pm. Get there at four, before after-work numbers swell, and head straight to the fifth floor for the highlights – Van Gogh’s Starry Night, Salvador Dali’s The Persistence of Memory and Picasso’s Les Demoiselles d’Avignon among them. Then take a walk south along 5th or Madison Avenue, pausing to admire Neo-Gothic St Patrick’s Cathedral en route to the Morgan Library & Museum (225 Madison Ave). On Fridays from 7pm-9pm (also Tuesdays 3pm-5pm and Sundays 4pm-6pm) the grandest rooms of this cultural treasure-house are free to visit, with Gutenberg Bibles, Isaac Newton’s notebooks and Bach’s manuscripts on display. The glittering lights of Manhattan at night make for an unforgettable spectacle, and no-cost vantage points abound. East River bridges are a good bet, providing a little elevation, perspective and, if you slog all the way across, characterful subject matter for photographs. Brooklyn Bridge is great for Downtown views, but fans of The Great Gatsby will make a beeline for Queensboro Bridge, presenting a vista of the city as if “seen for the first time, in its first wild promise of all the mystery and the beauty in the world”. Set yourself up for the day at Zucker’s deli (370 Lexington Ave), where they serve deliciously fresh bagels, filled to your instructions. 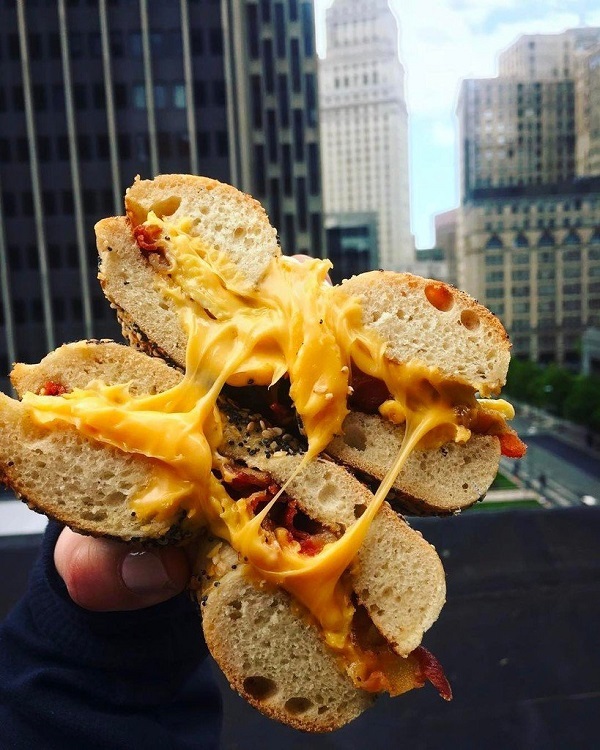 Alternatively, Bedford & Co at the Renwick Hotel (118 E 40th St) offers chunky waffles and smoked salmon scramble, and Lallisse (161 Lexington Ave) provides the perfect Eggs Benedict and pancake stacks, alongside a host of Mediterranean small plates. Cantina-style Nom Wah Tea Parlor (13 Doyers St) is a Chinatown gem of impeccable vintage – the first restaurant to bring dim sum to New York. Pork buns, rice rolls, egg rolls and noodles: tick your choices on a paper menu, but make sure not to miss the Shanghainese broth dumplings – perfectly steamed dough-coated meatballs suspended in an umami-rich soup. Bite off the top and slurp out the broth – inelegant in the extreme but so satisfying! Another oriental lunch choice, with a bit of theatre thrown in, is Koreatown’s Kang Ho Dong Baekjeong (1 E 32nd St). Friendly servers table-grill your choice of high-quality meat – fatty pork belly, wet-aged beef fillets, translucent sheets of brisket – accompanied by a selection of traditional sides including chili-sesame tofu, pickled daikon and gochujang-dressed spring onions. In addition to characterful shops selling books and kitchenware, Chelsea Market (75 9th Ave) is perhaps the city’s finest food court, with an ever-changing line-up of outlets. Current highlights include lobster and oysters at Cull & Pistol, theatrical Asian fusion at Buddakan, piping hot mini-doughnuts at Doughnuttery, and sublime brownies at the Fat Witch Bakery. New York is renowned for its dry-aged steaks, and visiting carnivores will find a temple to meat at the venerable, wood-panelled Keen’s Steakhouse (72 W 36th St). A reservation is a must, as is a gargantuan appetite, to best appreciate their succulent, flawlessly prepared Flintstone-sized slabs of beef. If great fast food is more your style, Bill’s at Rockefeller Center (16 W 51st St) is the biggest standalone burger joint in America and justly renowned for the quality of its fare. Custom-blend, freshly ground, hand-pressed 6oz patties are served up with a mouthwatering array of sides and toppings. Try one of the burgers in an English muffin (a revelation!) and that’s how you’ll be doing your own from now on. At the other end of the scale, you can sample (relatively) affordable Michelin fine dining at the one-star Gotham Bar & Grill (12 E 12th St). In an opulent, high-ceilinged room adorned with billowing fabric chandeliers, chef Alfred Portale serves up flawlessly executed dishes taking their inspiration from around the world, including a yellowfin tuna tartare that positively zings with flavour and freshness, a fabulously rich and unctuous wild mushroom risotto, butter-soft roast chicken in perfectly crispy skin, and a warm chocolate cake that’s good enough to reduce dinner conversation to a series of gratified lip-smacks.